Rapper Bun B (born Bernard Freeman) rose to fame in the duo UGK. Bun B and Pimp C formed UGK in the late ’80s when their former crew, Four Black Ministers, fell apart. Based in Port Arthur, TX, UGK signed with Jive and with 1992′s Too Hard to Swallow began a series of Southern gangsta rap albums that were successful sellers. Bun B formed the side project Mddl Fngz in 2000, but his main concern was still UGK. Things came to halt in 2003 when Pimp C was sentenced to eight years in prison on an aggravated gun assault charge. 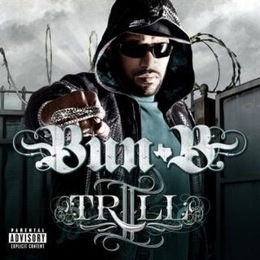 Bun B carried on solo, making numerous appearances on other artists’ tracks and then in 2005 releasing both the mixtape Legends and his debut album, Trill, a Top Ten hit.